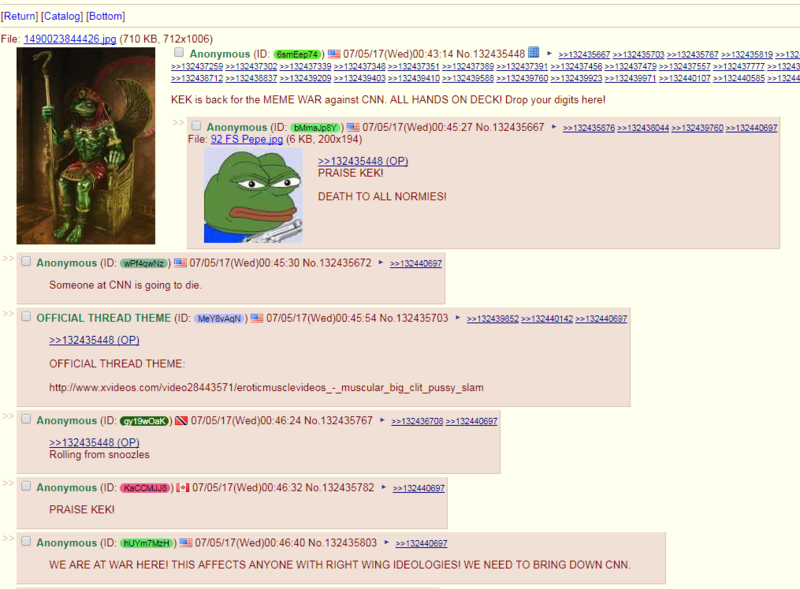 Users of Reddit and 4chan, two message board communities that have long expressed their hatred for one another, were united in their outrage over a CNN report , published on July 4, that detailed the origin of a GIF depicting Trump tackling a man who had a CNN logo superimposed on his face. The meme was edited into a video with music and eventually tweeted  by Trump with a hashtag calling CNN a “fraud.” CNN reporter Andrew Kaczynski, who wrote the story, discovered that the meme’s creator was a middle-aged man  with a history of posting “racist and anti-Semitic imagery” through his Reddit account. The man called CNN to confirm his identity after he had issued a detailed apology on Reddit and deleted his previous posts. Reddit and 4chan members didn’t find the man’s history of hateful posts problematic. Rather, they latched onto one section of the article in which CNN explained that it had decided not to publish the man’s name, “because he is a private citizen who has issued an extensive statement of apology, showed his remorse by saying he has taken down all his offending posts, and because he said he is not going to repeat this ugly behavior on social media again.” The article also stated, “CNN reserves the right to publish his identity should any of that change.” Members of meme-heavy subreddits perceived that sentence as blackmail and accused CNN of attempting to dox  and blackmail  one of its critics. 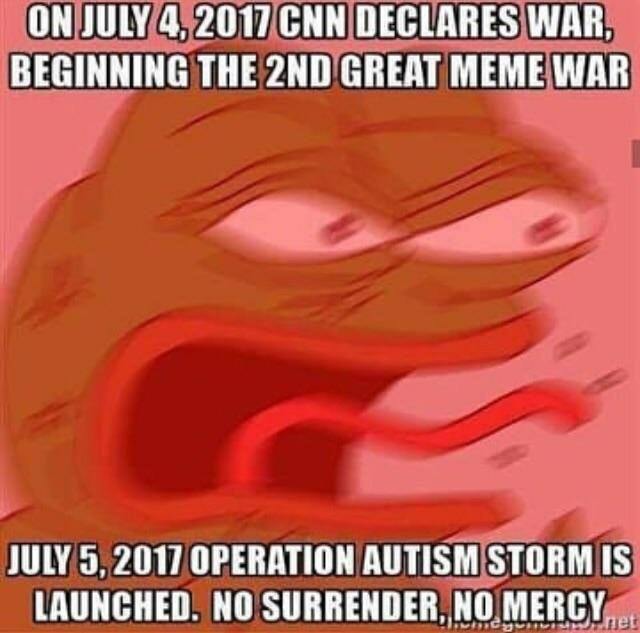 But CNN’s statement came too late; multiple posts on 4chan  and Reddit  had already called for a full-scale “meme war” against the network. During the 2016 presidential election, factions of Trump voters used memes to attack and discredit  others’ preferred candidate. Among these factions, highly organized pro-Trump meme war “units ” found tremendous success and were able to create and spread numerous trends on social media. 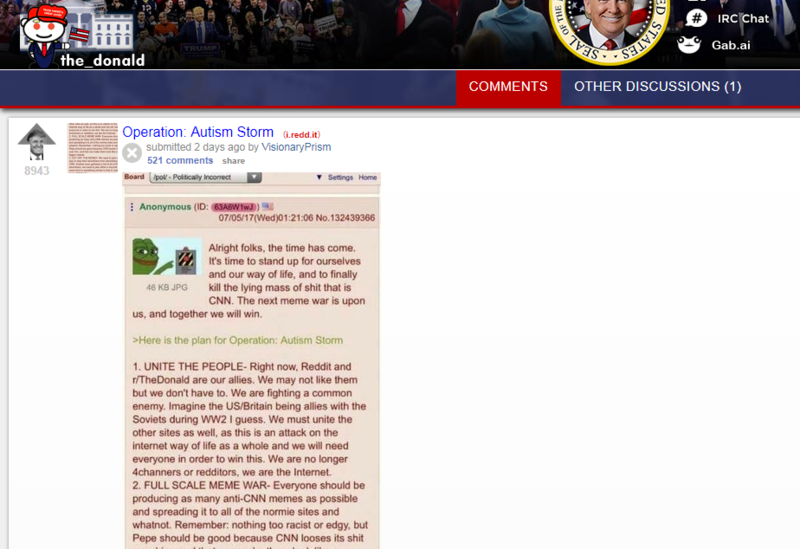 A post on 4chan explained what the latest meme war, titled “Operation: Autism Storm,” would entail . 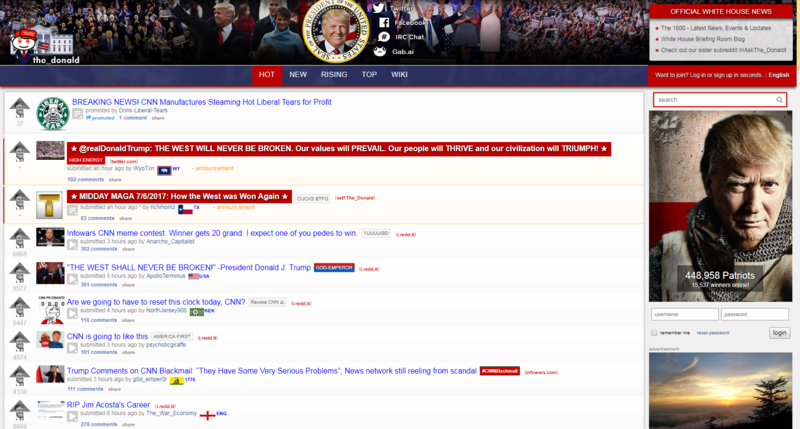 The operation’s primary focus, according to the post, would be to produce “as many anti-CNN memes as possible and spreading it” to high traffic websites beyond the fringe. The call to arms also urged participants to “discredit every journalist at CNN,” and to target CNN’s advertisers to stop them from advertising on the network. 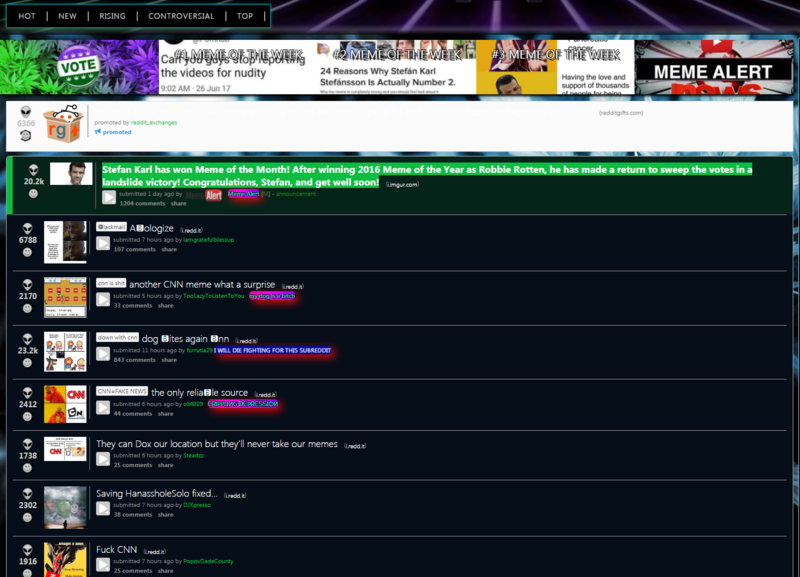 In the days after the article was published and 4chan and Reddit users called for meme warfare, “#CNNBlackmail” was a top trending topic  on Twitter. 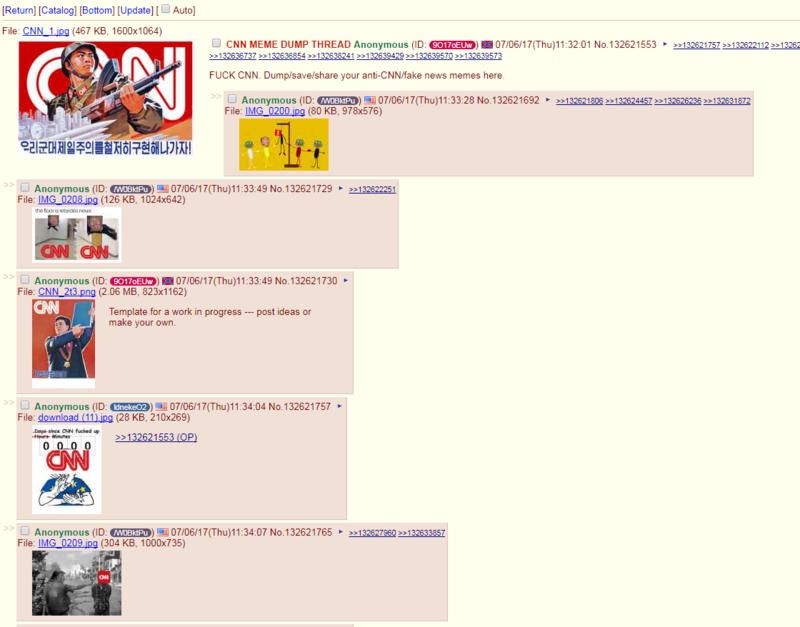 The contingent of pro-Trump internet wizards also overran numerous  boards  on Reddit and 4chan  with images attacking CNN’s credibility. Infowars editor-at-large Paul Joseph Watson suggested  that CNN may have reunited “the alt-right & the new right in a common cause” after a prior rift  among the “alt-right” factions. This potent group of like-minded internet campaigners repeatedly proved their ability to organize and operate extremely effective smear campaigns during the 2016 election. According to an entry  on Encyclopedia Dramatica, one of the most notable moments in “The Great Meme War” was the group’s viral portrayal of former presidential candidate Jeb Bush as a weak and sad “stinking turtle-lover with a guacamole fetish.” This characterization of “low energy ” Bush cast him as a man unable to withstand what meme creators referred to as “high-energy ” Trump. 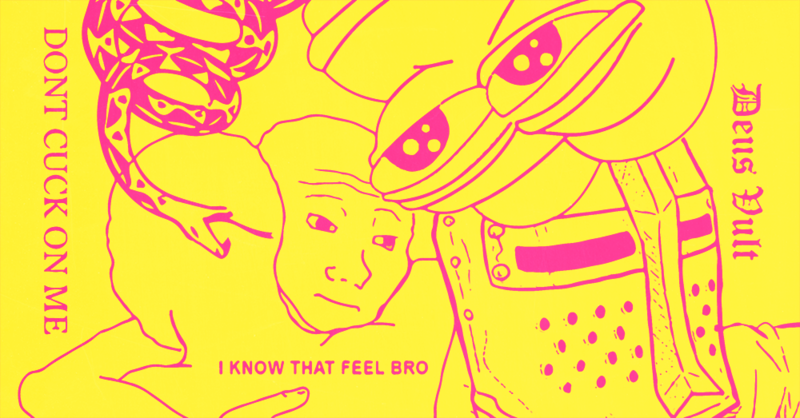 The Encyclopedia Dramatica entry also credited the same organized effort to push “a stream of new and fearsome dank memes,” featuring “Pepe the Frog” after the Anti-Defamation League classified the character as a hate symbol. Fringe far-right media figures have also noticed the potency of these groups, and have used their platforms to encourage their followers to participate in the effort to spread the anti-CNN memes to larger audiences. Infowars’ Alex Jones has even launched an anti-CNN meme contest , promising a $20,000 reward for the “best meme” he receives. Alternative right-wing media  figures such as online personality KimDotcom , Infowars contributor and internet troll Mike Cernovich , and even the president’s son Donald Trump Jr.  have used their platforms to spread anti-CNN rhetoric and images alongside those leading the online meme brigades. Meme wars can often have real-life consequences, a phenomena known within these communities as “meme magic.” During the 2016 election, these meme-makers effectively shaped Bush’s public image, and now they are provoking people to harass CNN journalists. Rebel Media’s Laura Loomer, who gained notoriety for interrupting Shakespeare play  Julius Ceasar in New York City, ambushed  CNN host Chris Cuomo about the controversial article while he was walking down the street. Other CNN staffers told The Daily Beast they feared for their safety  after receiving a flood of threatening phone calls and messages and the reporter who discovered the Reddit user’s anti-Semitic posts wrote in Politico that he received a barrage of death threats . Cernovich even hy p ed  a supposed protest “planned to be held” outside of Kaczynski’s home in New York.